Welcome to the fourth installment of our Social Recruiting Pro Tips Series. Our latest edition features insights from Lars Schmidt, noted speaker and blogger on social recruiting and employer branding. Lars presents compelling ideas that can help companies significantly increase hiring efficiency. With dozens of open positions to fill, recruiters need one thing above all else: time. The right social recruiting strategy can give it to you — and reduce your company’s average time-to-hire. But what does an effective and efficient social recruiting strategy entail? Lars Schmidt, Founder of Amplify Talent encourages companies to expand upon their traditional recruiting funnel by adding an additional three layers consisting of social sourcing, employer branding and social engagement. Together, these functions make up a progressive social recruiting strategy and enable you to tap into a much greater pool of talent — including passive candidates. Lars takes a closer look at these emerging social recruiting tools and how they give you and your company more time. When it comes to hiring, it’s nice to have choices – especially in a very tight tech market. In fact, the more you have, the better chance you’ll have of closing the deal with a qualified candidate. That’s what social sourcing delivers. By turning to sites like Twitter, Facebook, Google+, GitHub, Quora and Dribbble into huge candidate databases, you gain access to lots more unique candidates – and a serious competitive advantage. Social Sourcing tools, like Dice’s Open Web platform, give you a more detailed “social snapshot” of the candidate, too. By bringing together data from the social and professional sites that matter most for you, social sourcing tools save you from scouring all the individual social sites yourself. Plus, these tools capture unique insights about what makes each candidate tick, as well as ways to connect, that will be extremely useful when you’re ready to engage them. This can help reduce the time it takes to get a response from a candidate you’re reaching out to. Social sourcing alone can save you time in finding tech candidates with hot skills. However, the combination of social sourcing and employer branding can catalyze the rate at which you convert candidates. Aligning your company’s employer branding and social strategies provides an opportunity to showcase your brand in a much more transparent and credible way. This approach has shown to be tremendously beneficial, particularly for companies that have created and sustained an employer presence that creates personal candidate value on a large scale. What is an employer brand? It’s the image a company projects, particularly to would-be employees. It provides a glimpse of your company’s character, spirit, values and culture. A strong employer brand builds a sustainable reputation and establishes a solid following of prospective candidates. To begin, Lars recommends building the brand from the inside out by allowing employee’s attitudes and opinions to project the culture of the company, thereby building authenticity. While employer branding is not a new trend, its application in a social media world is fairly new. 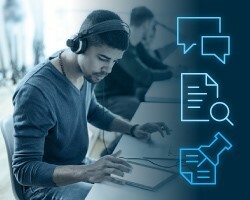 In a world of hyper-connectivity, you and many of your colleagues – across talent acquisition and beyond – need to be empowered to proactively tell your stories in social media channels. In addition, former employees should be engaged to talk about their experiences. You’ve leveraged social sourcing to identify the candidates you think would be a good fit for your company. You’ve planned and implemented an employer branding strategy that has garnered impressions across web and social channels.. But what about building a social community that will influence each other about specific opportunities? This is social engagement – the process of creating real value within your communities rather than just sending messages out, hoping they’ll stick. This begins with listening. Listening is essential to crafting responses that lead to real conversations, and eventually, relationships. Listen for the common passions among your audiences, what they’re working on, and even what their peers are saying about them and your employer brand. Then, respond with posts that are entertaining, amusing or simply genuine. Your time is valuable. Yet it’s vital that you help your organization source and hire the very best candidates you can find. With a strategy combining social recruiting with employer branding and social engagement, it’s possible to accomplish that more efficiently than ever before. To download Lars Schmidt’s slides on “How to Increase Hiring Efficiency with Social Recruiting, click here or view the presentation below.